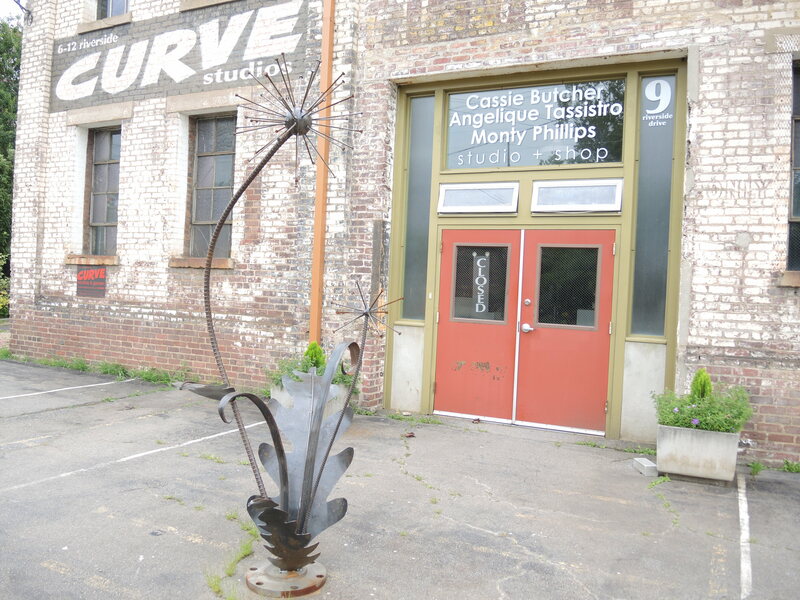 Located between Downtown and West Asheville, the River Arts District transforms what was once an industrial zone into an inspirational space for artists and their work. 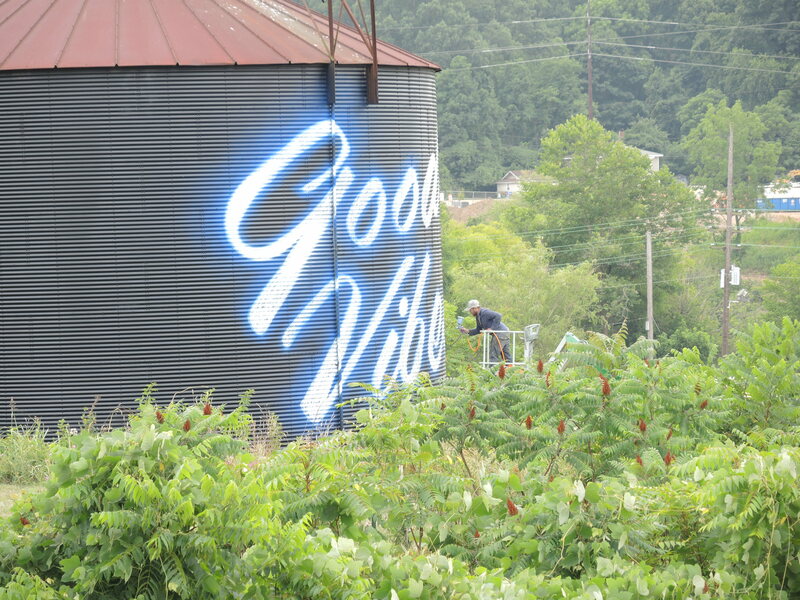 Bright awnings, colorful woodwork, and creative signs hint at the wonder that exists within the unassuming old brick factories and warehouses along the Riverside Arts District of Asheville, North Carolina. Reminiscent of Santa Fe, New Mexico, you’ll want to plan to spend the day strolling in and around the many studios. You’ll be mesmerized and inspired by the variety of crafts created by local artists. Paintings, sculptures, clay works, fiber arts, glass blowing, hand made knit wear, wood working, and photography are displayed for sale around artist work tables where you might be lucky enough to see them performing their crafts. 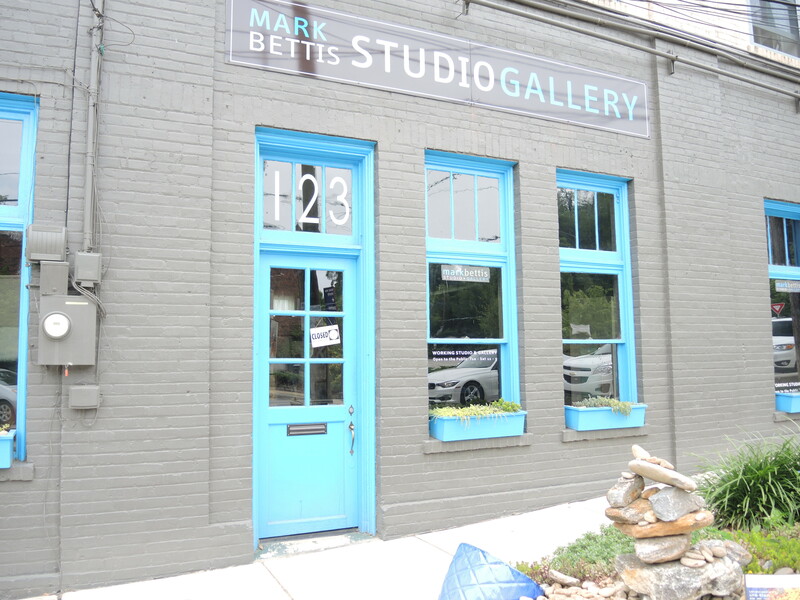 Unlike Santa Fe, the shops that line the River Arts District are actual artist studios– the space rented by artists to work among each other and create their crafts. It’s a rare view into what is typically a labor of solitude. Pause along the Phil Mechanic Studios on Roberts Street to watch glass blowers turning and spinning orbs in flaming furnaces. Head inside the Squeaky Wheel Pottery Studio to browse the works of 20 potters or watch them molding their hands through the tan clay along the wide white table to the center. In various other studios throughout the city you’ll see artists working at their benches or from behind loosely hung curtains cordoning off the sales area from the studio. If you are lucky enough to shop when they are present you’ll find them welcoming, open, and eager to talk about anything, art or otherwise. Such is the way with people in Asheville. 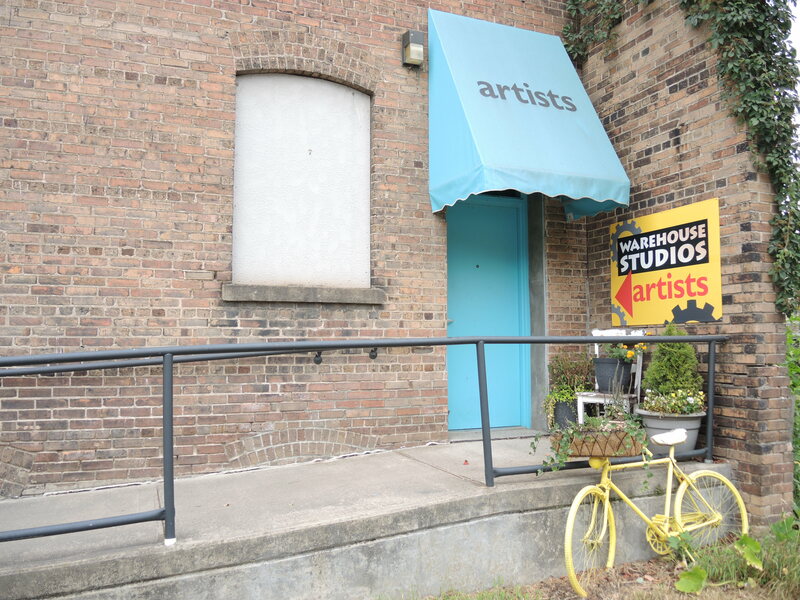 The River Arts District is best visited Monday through Saturday since many of the shops are closed Sundays. Although Sunday does not have official hours in many of the studios, it’s a time when you’ll catch many artists working with an open door, come-and-watch or talk policy. A true Sunday treat exists on the second level of Wedge Studios along Payne’s Way. There on Sunday mornings you’ll find Stephen Lange helping his two young children create art to display for sale alongside his brilliant collage work. His studio is complete with a secret clubhouse for his young artists. 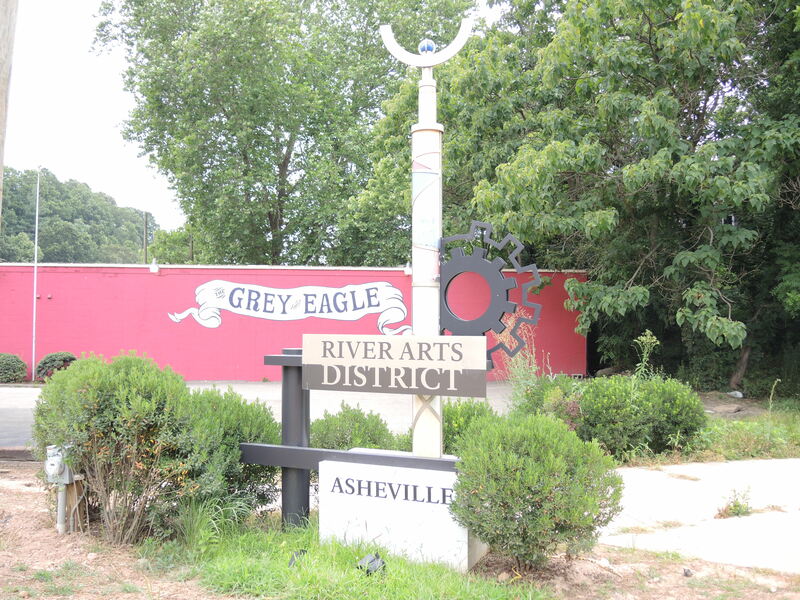 Regardless of when you go, you can’t help but feel inspired by the sheer creativity that exists along Asheville’s River Arts District. Spanning several streets and at times a 1/4 or 1/2 mile from one warehouse to the next (sidewalks not always included), you’ll want to be prepared for the distance with appropriate transportation means (whether bike, car, or walking). Wear good shoes that will carry you comfortably across the walk from one studio to the next and prepare to spend the day in awe of the talent that thrives in this part of town. May it fill your home or heart, spark your own creativity or increase your appreciation of art.